Pros: A brilliant cast and a magnificently scripted story provide the perfect combination. Cons: The musical interludes are all too brief, and annoyingly clipped to make way for more detail in the script. The Rise and Fall of Little Voice was released as a film in 1997 and featured a starry cast including Michael Caine and Brenda Blethyn, with Jane Horrocks in the title role. There’s always a dilemma seeing the stage version after you’ve seen the film: you naturally miss the expansive canvas offered by the big screen. In contrast, the stage tugs at the imagination and distils the story in a live environment. But here’s an opportunity to see the story presented in its original form, in a play penned by the brilliant Jim Cartwright, author of the excellent Road. My gantry seat high in the circle gave me an excellent ‘drone’ style view looking down on the action. The story tells of LV (Rafaella Hutchinson), a shy reclusive teenager who lives life through her late father’s record collection. She finds solace in her bedroom with recordings of her favourite divas. 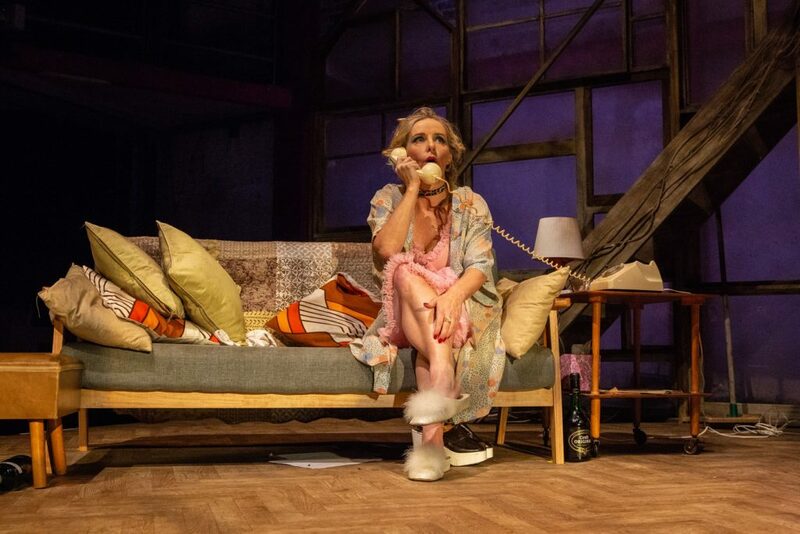 However, her peace is shattered by her loudmouthed mother Mari (Sally George), who longs for a drink, a man, a greasy breakfast and a working phoneline (in that order). Unbeknown to Mari, LV has become a brilliant mimic, her repertoire including Judy Garland, Shirley Bassey and Marlene Dietrich. Mari’s current squeeze is small time impresario Ray Say (Kevin McMonagle). Ray can hardly believe his luck when he hears LV sing, and is convinced his meal ticket has finally arrived. Mari neither cares nor takes notice that Ray is keeping her warm for one reason only, as he excitedly arranges club dates for LV. Meanwhile, a touching romance is slowly beginning to take shape between LV and sensitive telephone man Billy (Linford Johnson). 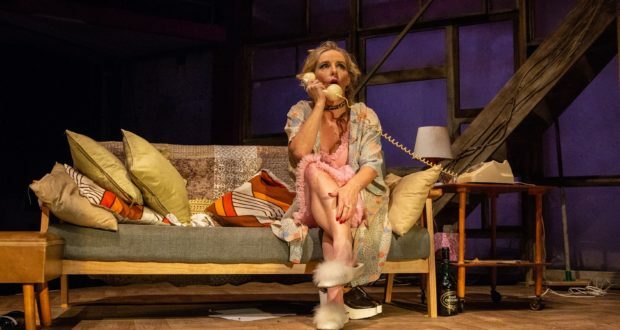 Jim Cartwright’s greatest skill as a playwright is the unerring ability to mix raucous humour with high drama, yet still deliver a story that is both consistent and authentic. Casting is often the key, and this production can boast a real life mother and daughter among the leading roles. The rapport between Rafaella Hutchinson and Sally George is compelling, cranking up the tension as the story reaches its climax. Even though the focus of the story is Little Voice, there is barely 10 minutes of the play devoted to song. For a play that runs for the best part of three hours (including the interval), more songs could have been used to break down the dialogue. However, when Rafaella Hutchinson does sing she displays an impressive vocal range, of which Marilyn Monroe and Peggy Lee are the real standouts. A lesson in good storytelling.